In this post I would like to shed some light on how existing horizontal wells in the main US shale plays are likely going to perform in the future. This is a similar exercise as done in earlier posts (e.g. here and here ). I will describe both of the available views in the above interactive presentation (‘Projected production’ & ‘Production profiles’), and then describe the method used. But before I do that, I would like to announce a new service that we are working on: ShaleProfile Analytics. With ShaleProfile Analytics we will provide access to all data gathered and structured by the ShaleProfile data platform. We will present this with the nice visual and analytics capabilities of Tableau, which is the tool used for all the interactive overviews that you have encountered here. It will be easy to use, and available from your browser, supporting different devices and screen sizes. If you would like to play an active role in this by providing input, and feedback on early versions, please contact me directly here. Here you can see the projected oil output from 76,204 horizontal wells in 9 US states, that started before July 2017. Of the 10 states that we currently cover, West Virginia is excluded as data for 2017 is not yet available. The view is split at July 2017, at which point the projection starts. The goal of this overview is to give an impression on how much oil & gas can be expected from these existing, producing, wells in the coming years. Any production from newer wells is not considered. Total oil production from these wells drops from 4.3 million bo/d per day in June last year, to about 0.5 million bo/d in 2030, the last year available in this projection. By selecting ‘gas’ in the ‘Product’ selection you can get a similar graph for natural gas production. As usual, with the selection boxes you can filter on specific areas or operators, and tooltips are available with more information. In this 2nd overview, the historical and projected production profiles are shown for almost all these wells. Wells are grouped by the year in which production started, and the average production rate is plotted against cumulative production. You can see these profiles for either oil or gas, using the ‘Product’ selection. The production profiles for about 4.5k wells (6% of the total shown in the first overview) are not available here, as I will explain further down. These are especially more recent wells, and therefore the results for 2016/2017 should be considered with some caution. I have preselected the oil plays, but you could use the ‘basin’ selection to change which areas are included. If you click on a particular year in the color legend, the related curve will be highlighted. You will then also see the gap between the historical, and the projected performance, which is plotted with a lighter color. Note that this time the vertical axes start at 1 bo/d for oil, and 1 Mcf/d for natural gas. I would have preferred to set this to 5 bo/d, and 50 Mcf/d respectively, but I ran into a bug, and am working with Tableau to resolve this. I consider the projected performance around these low levels as highly speculative, as little data exists so far on how such wells behave, and when operators will shut them in. 3) Exclude wells that have not yet declined by at least 50% or that have been refracked, to avoid spurious results. 4) Apply a decline curve analysis method based on fitting a hyperbolic decline (Arps), for both the oil and the gas stream separately. 5) Switch to an exponential decline once the annual decline rate reaches 8% (Robertson). 6) Once the average production rate for a group reaches a level below 5 bo/d and 50 Mcf/d, it is assumed that the wells will be abandoned, and production is set to 0. Because of step 3) for about 6% of wells no projection was available. Based on some simple heuristics (by applying a similar decline curve), I did estimate the production for these wells in the first overview (“Projected production”), but not in the 2nd one. You may notice some discontinuities between the historical and projected profiles. In future versions I aim to further improve this. Later this week I plan to have a post on North Dakota. Louisiana Department of Natural Resources. Unit production is allocated over wells in order to estimate their individual production histories. Thank you Enno for the graph projecting the decline curve. I recall oil companies saying one of the best features of shale oil is the platform of long lasting production that develops with drilling. The initial production is supposed to pay for the drilling and completion and the low decline oil is the payoff. Looking at US shale production, if drilling stopped there will be at least a million bbls per day of production for 5 years, then 1/2 a million bbls per day for another 5 years. That’s just using step function rounding off and can be considered the minimum. That oil, ignoring op costs and taxes and using $40 per bbbl at the wellhead, might be worth over $100 B over 10 years. However, I’m wondering if that would equal the current debt currently held by the shale oil companies. Can anyone put a number to the debt level? Thanks. Total debt reported by public shale oil companies in SEC filings exceeds $240B. That can be googled. Private companies do not have to disclose debt. I have no idea what midstream public corporations have borrowed to gather shale oil and shale gas. I am betting total debt exceeds $500B, easy, and that does not include the $80B plus that has already been walked (Haynes & Boone). 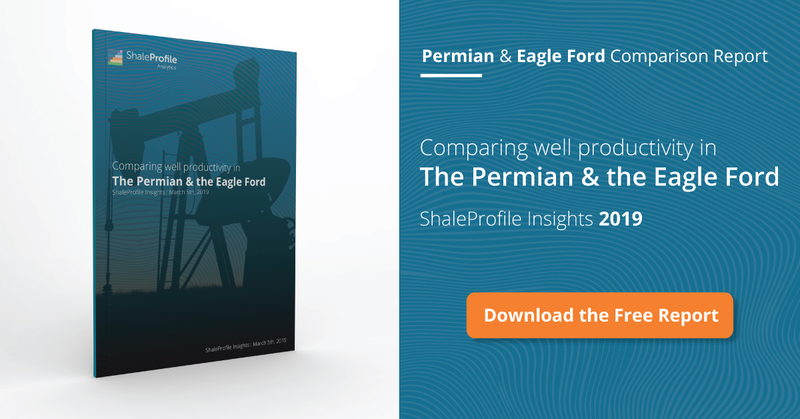 Because of oversupply, again, Permian prices are taking a big negative hit (almost -$7 per BO) to NYMEX WTI; we are starting to see the same thing now occur in the Eagle Ford. Take home pay, after all costs are deducted, is still around $30 per barrel. A $10M well has to make 300,000 BO just to reach payout. The shale oil phenomena is a business disaster that is being completely overlooked because of the employment it provides, the tax revenue it generates, and its temporary benefit to consumers. Mother Nature will eventually have Her way, however; well productivity will go down, unprofitability will increase and ultimately the America tax payer will end up having to pay all this shale debt back, one way or another. I always find these “projections” of Enno’s jarring. It is a reminder of how fragile the shale phenomena is, how many more hundreds of thousands of wells, and trillions of dollars it will take to drill them, for America to depend on it in the future. I suspect you’ll see a lot of the “conversion” clauses activated in corporate debentures going forward. That’s really the only way to deal with this, outside a huge bailout – dilute shareholder equity. Please disregard my previous request. I figured it out. Now if I could only come to terms with the phrase “ pump and dump”. Please explain what a conversion clause is in a corporate debenture. Thanks Enno. If 1280 new wells per month are added after Feb 2018 we get the model below, note that in 2017 about 1000 new wells per month were added on average for model to match EIA tight oil estimates. My initial comment got lost. US LTO more optimistic model with 1280 new wells added per month. I did a rough projection for US LTO output which assumes new well EUR starts to decrease in Jan 2019 and remains constant (for US average new LTO well) from July 2017 to Dec 2018). An estimate for the average new well EUR in July 2017 was 283 kb and new well EUR decreases at an annual rate of 6.4% per year starting in Jan 2019 (this is simply a guess that is used in the model). For those assumptions about 1280 new wells per month is the model estimate for US LTO to be close to reported EIA tight oil output in Feb 2018 (5410 kb/d). The model assumes wells continue to be added at 1280 new wells per month until April 2024 and then gradually decrease to zero by 2030. The model estimates about 80,700 LTO wells had been completed in the US from June 2006 to Feb 2018, and total wells completed from June 2006 to Jan 2030 is 232,000. Peak output is about 8000 kb/d in 2023 and output falls rapidly after 2025 reaching an annual rate of decline of 20%/year in late 2029 and falling to 4000 kb/d by the end of 2030. A world peak in C+C is quite likely between 2025 and 2029 as it will be difficult to make up for the rapid fall in US LTO output, LTO output only falls by about 500 kb/d between Jan 2023 and Dec 2025. Model Economically recoverable resources (ERR) is 51 Gb from June 2006 to Dec 2045. Very interesting projection Dennis. With conventional US declining by 200-300 kb/d per year? ?, the US will only see output grow by another 2 mb/d from current levels with your assumptions. Higher oil price assumptions (as shown on chart below) raises economically recoverable resources (ERR) from 51 Gb to 62 Gb and peak output from 8000 kb/d to 8700 kb/d in 2023 (about a year later than scenario above. Higher oil prices might stem conventional decline a bit as well as increase GOM output (after a 5 year lag), maybe that hits in 2025 in the high price scenario. So perhaps 2 to 3 Mb/d increase in US output under very optimistic assumptions. Note that a more realistic peak for US LTO output is about 7.5 to 8 Mb/d around 2022+/-1 year in my view, I doubt Brent oil prices will rise much above $175/b (2018$) for any 12 month running average in the next 15 years, maybe a $25/b 95% confidence interval around that guess. Agree Dennis. So many people believe shale will grow by 1 mb/d for each of the next 10 years. I.e. extrapolating 2H 2017/2018 growth rates. I guess they have not visited this great website yet.